Highly effective where the skin has lost its elasticity (especially on the cheeks). Lines caused by facial expressions are always visible. We use about 60 muscles while communicating both through speech and facial expressions. Frowning, lifting of eye-brows, laughing, pulling a face are some typical facial expressions that we use to communicate. As time passes and with frequent use of these facial movements, these wrinkles persist and become permanent deep wrinkles on the forehead, laughter lines and crow’s feet. 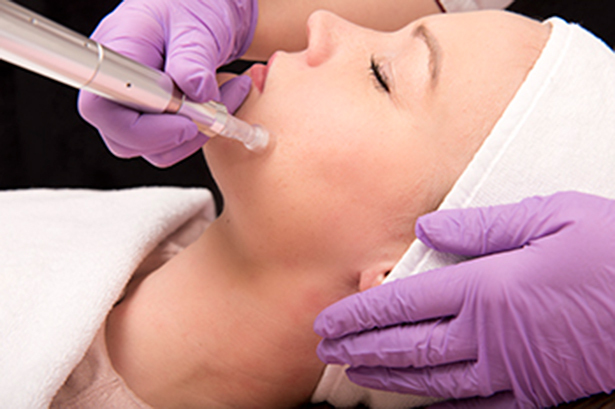 Besides injection there is a clear consumer need for effective, safe topical treatments. 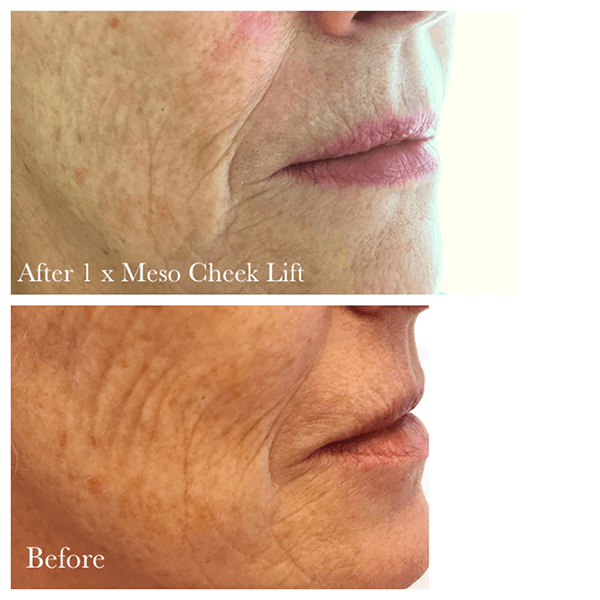 MESO CHEEK LIFT is a non-invasive form of mesotherapy based on the regenerative and stimulating properties of peptides. The formula of MESO CHEEK LIFT contains SYN®-AKE. A small molecular weight synthetic peptide that smoothens expression lines by topical application. SYN®-AKE has a natural inspired mechanism. It mimics the activity of Waglerin-1, a natural occurring peptide found in temple viper venom (Tropidolaemus Wagleri). Waglerin-1 has a strong ability to relax muscle contraction. MESO CHEEKLIFT is a non-invasive form of mesotherapy where the three main vitamins for the skin well-being (A-C-E) are present in the most stable forms to ensure complete absorption. Due to radical scavenging activity they protect the skin from external factors (pollution, UV-A UV-B) that can be dangerous for the skin and cause premature aging. Retinol keeps the skin intact and repairs damaged cells. Vitamin A is, in fact, very useful in case of chapped skin, reddened and irritated. It also performs a sebum-regulating action, which balances the production of skin sebum.